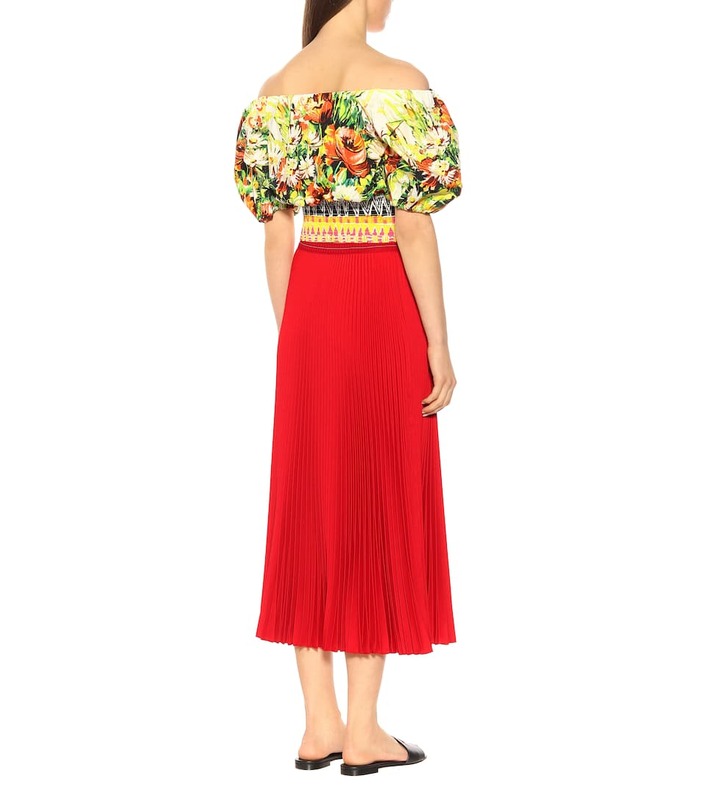 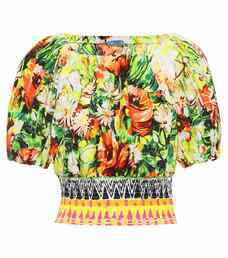 Manifest la dolce vita in this extroverted top from Prada. 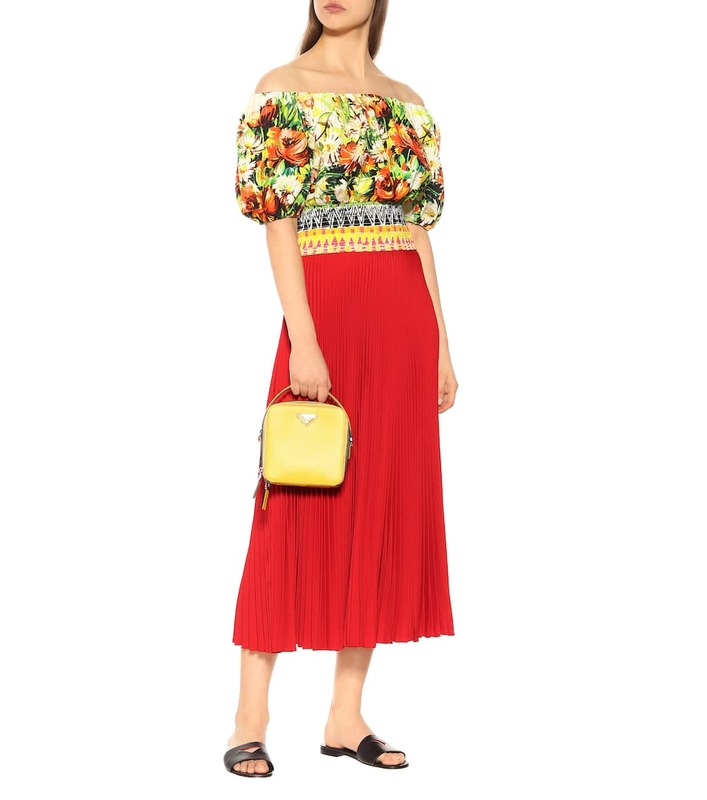 Crafted in Italy from cotton poplin, this off-the-shoulder design comes with a smocked band below the bust and short, puffed sleeves, creating a relaxed silhouette. 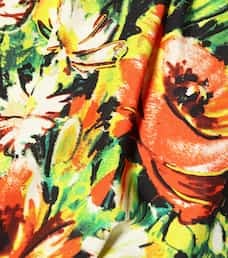 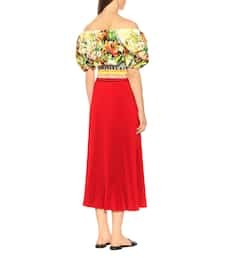 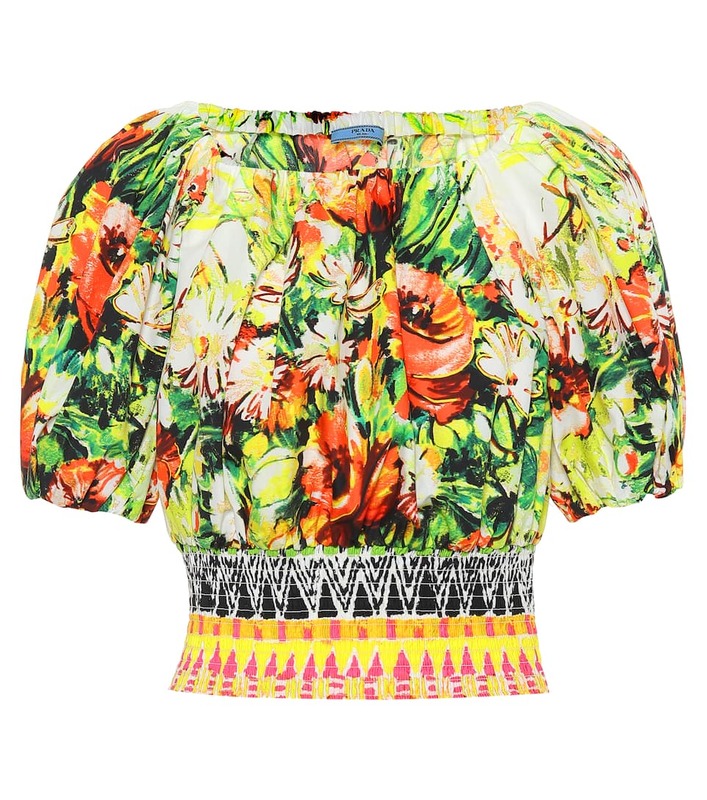 Draw out the rich hues of the floral print by wearing yours with a brightly colored skirt.